Dealers working with Toyota and Lexus Financial Services (TFS /LFS) have seen a growth in incremental income of more than £5 million from selling minor damage cover. The dealers have been selling the cover in conjunction with SMART Insurance Services and Toyota Insurance Management. 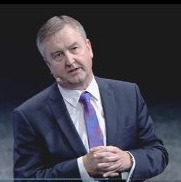 Eamonn Warters (pictured), head of sales at Toyota Financial Services, said more than 60% of dealers working with TFS/LFS are now seeing the benefits of offering minor damage insurance to their customers. “The increase in demand from customers and the opportunity to provide them with a range of quality value added products meant that we had to look seriously at the opportunities that minor damage cover offered,” he said. “We asked ourselves three simple questions: Is there a demand for it? Does it give my customers value? Is it commercially viable? The answers to all three for us was a resounding ‘yes’,” said Eamonn, whose minor damage cover is provided by SMART Insurance Services. Steven Eagell, RRG and Motorline white-labels SMART Insurance’s minor damage products for its 20 Toyota and Lexus sites. “Choosing the right provider was absolutely crucial because we are committed to offering value to the consumer. “Customer retention is a priority for us and choosing a product for its value, rather than on price and margin is part of our commitment to them,” managing director Steven Eagell said. “Increasingly, we have seen more and more customers asking for minor damage cover at the point of sale.